On the bloody battlefields of Iraq, one man’s quest to find God will unleash Hell. 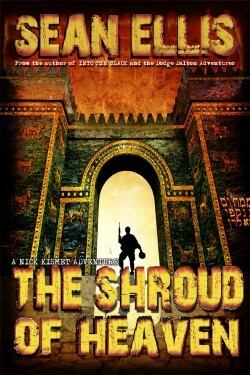 For more than a decade, Nick Kismet has traveled the world protecting priceless relics and cultural heritage sites from looters, while searching for answers to the mystery that has haunted him since the first Gulf War—a mystery that has defined his life. Now, a new war has brought him back to the bloody battlefield where his search began. Summoned by his friend and mentor, Pierre Chiron, Kismet soon finds himself on the trail of the holy relics of Solomon’s Temple, captured centuries before by Babylonian conquerors and thought to be lost to history. But Chiron’s quest is not merely to find ancient artifacts; he seeks to find proof—the very fingerprint—of God.